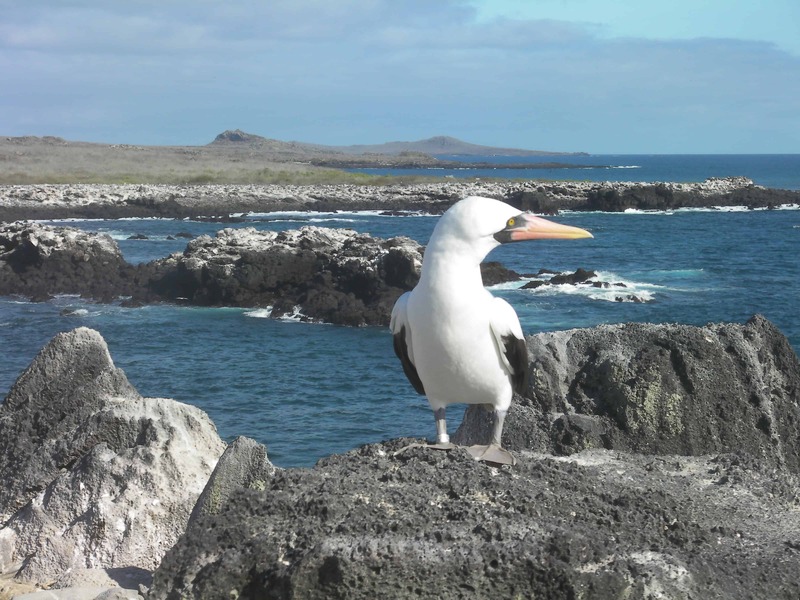 CEES researchers work in the Galápagos National Park and other oceanic sites, studying seabirds filling apex predator roles in marine ecosystems. This project aims to better understand how a species’ evolutionary history and current ecology interact with human factors like high seas fisheries to influence population dynamics. Recent results from a study of Waved Albatrosses led to its international up-listing on the IUCN Red List to Critically Endangered status, due to by-catch in artisanal fisheries off the Peruvian coast. A new study of Blue-Footed Boobies revealed a precipitous population decline of more than 50% in the Galápagos subspecies, attributed to a dramatic change in marine food supply. 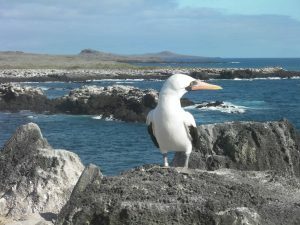 The core of the project is a 30-year study of a banded population of 5,000+ Nazca Boobies, one of the most comprehensive studies of any tropical bird. Faculty and researchers involved with this project include Dr. Dave Anderson, Department of Biology doctoral students Jacquie Grace and Emily Tompkins, and collaborators Dr. Terri Maness of Louisiana Tech and Dr. Kate Huyvaert of Colorado State, both alumni of the WFU graduate program.